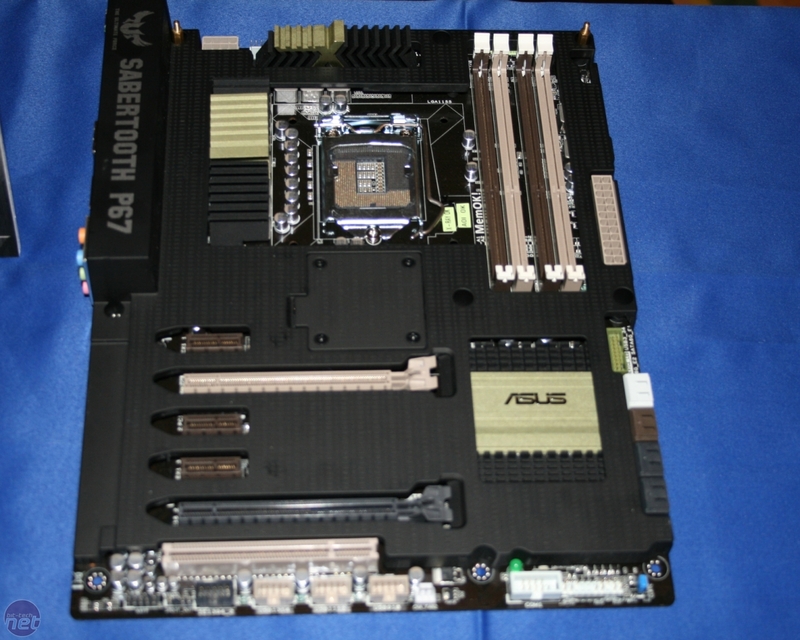 Following on from its first TUF motherboard, the Sabertooth X58 (a review of which is coming soon) Asus showed us a early sample of the forthcoming Sabertooth P67. 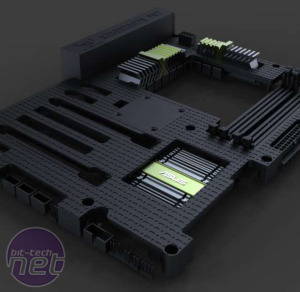 While we can’t tell you which chipset this board is based on (no, really, all we can say is you’ll have to somehow work it out from the clues in the board’s name), we did manage to count 1,155 pins in the socket which leads us to believe that it’s an LGA1155 board for Intel’s forthcoming Sandy Bridge processor. We also noticed that the room had 64 chairs, and that someone definitely spilled 246 toothpicks on the floor at some point. Definitely. ‘TUF’ is short for The Ultimate Force, and is used for boards that have much higher than usual tolerances. 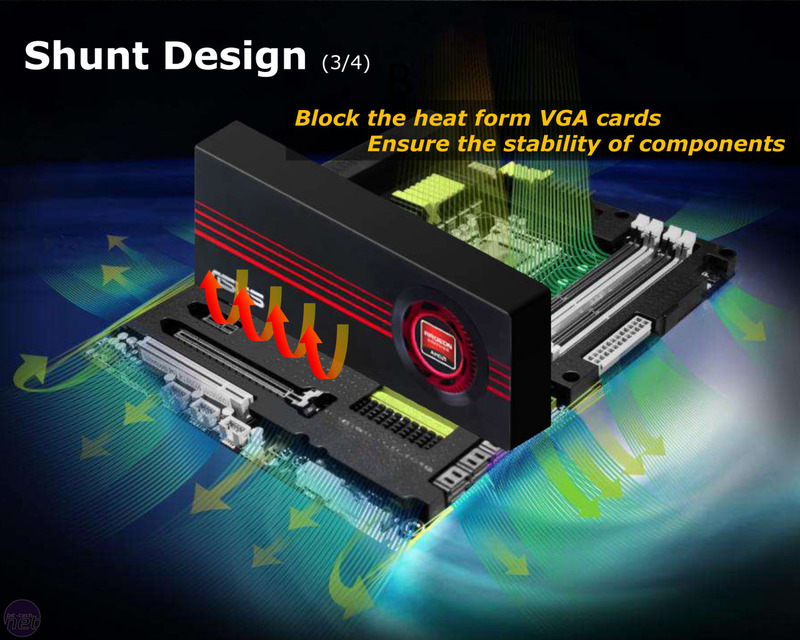 Asus uses a stress test that repeatedly heats and then cools the board from -40oC to 85oC and uses a range of military-grade components and server-level testing. 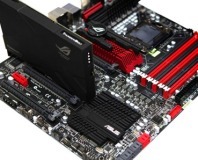 For example, rather than the usual burn-in test that uses a temperature of 45oC and a humidity of 80 per cent, Asus uses the server-grade 55oC temperature and 90 per cent humidity test for its TUF range. It turns out that ‘military grade’ also means something. The capacitors, chokes and MOSFETs all adhere to an independent ISO and IEC/IECQ standard that stipulates certain requirements suitable for military application. 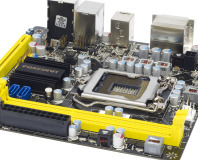 While the Sabertooth P67 uses solid capacitors and alloy chokes for its VRMs, the MOSFETs are of the usual epoxy-mold type rather than the fancy metal-cased MOSFETs of the Maximus IV Extreme. The TUF Tactical Vest shroud is... odd, no? 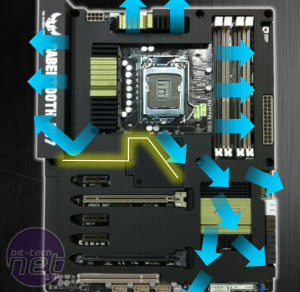 Possibly the oddest inclusion on any motherboard we’ve seen is the TUF Tactical Vest of the Sabertooth P67. 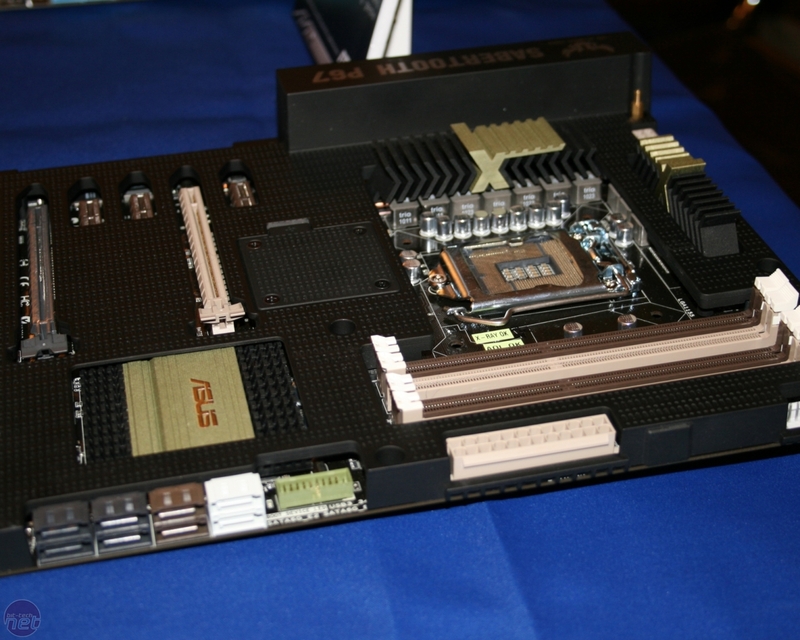 This is a plastic shroud that covers almost the entire board and aims to provide better cooling for the board’s components and a degree of isolation from the components plugged into it. 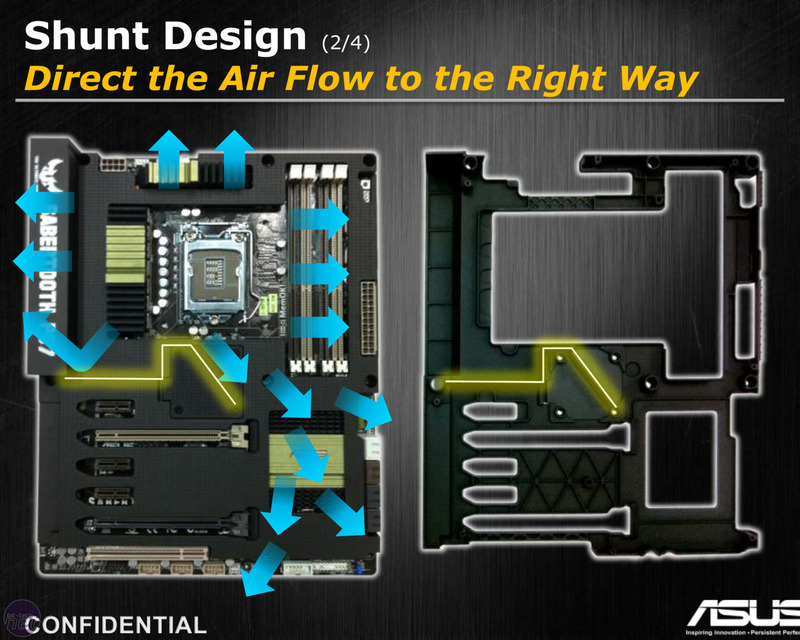 It works best with a CPU cooler that blows down onto the board, and Asus claims that the airflow underneath the Tactical Vest shouldn’t be hindered by the airflow of any case fans installed. 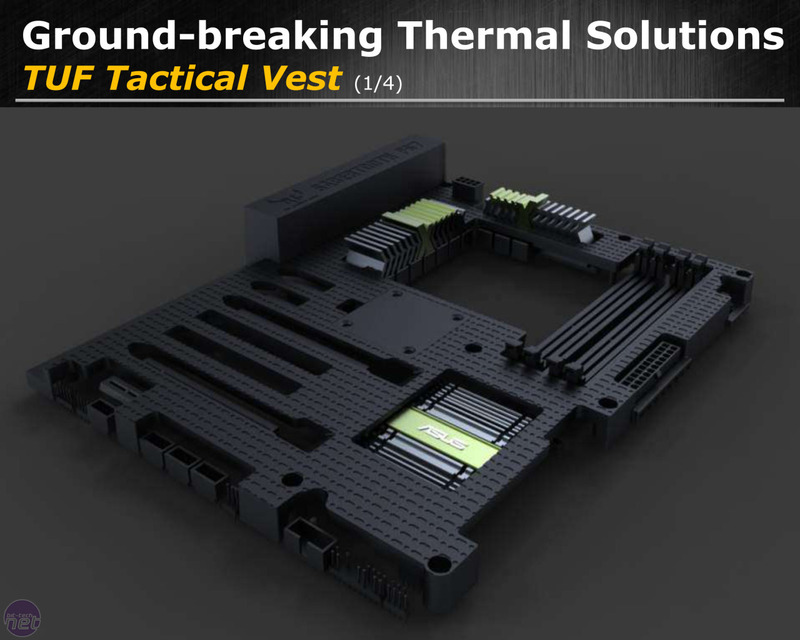 We’re sceptical as to how useful the Tactical Vest will be, and not only because most blow-down coolers are a bit rubbish compared to tower coolers. 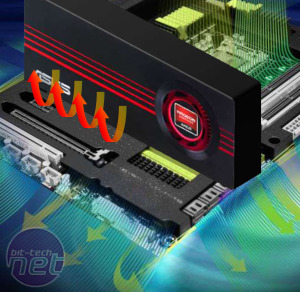 The Sabertooth P67 is decked out with nine thermal sensors to provide real-time thermal detection, and these are hooked up to a software-based fan control system. Anyone that’s wrestled with a T-Balancer should have fun with this. 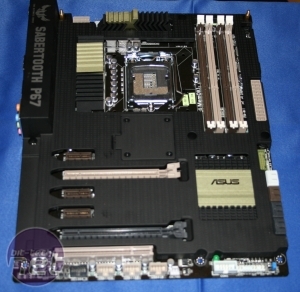 While Asus sees the Sabertooth range as for harsh environments and critical, never-fail PCs, it won’t replace Asus’ server range of WS boards; both ranges will exist in tandem. 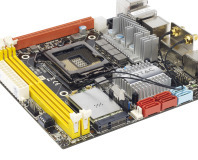 A basic mini-ITX motherboard for your basic mini-ITX PC needs.